If you’ve never had heated floors in your home before, radiant floor heating might be a bit of a mystery to you. You’ve likely experienced them at a friend’s house or in a hotel bathroom, so you know that they work, but you don’t know exactly how. And even more so, you don’t know how much they cost or if they would be an option for your home. If these thoughts have ever crossed your mind, then you’re in luck! WarmlyYours Radiant Heating, a provider of electric radiant heating solutions, has answered the most-asked questions about radiant floor heating below. Heating cable is installed underneath the flooring and wired to a special thermostat (either one specifically designed for floor heating, like WarmlyYours’ SmartStat, or a third-party thermostat that integrates with WarmlyYours’ heating system, like the Nest). When turned on, the heating cable emits heat upward through the flooring. It’s like an electric blanket for your floors! How much does it cost to heat a room with underfloor heating? The cost of in-floor heating depends on a number of factors, including the size of the room, the cost of electricity in your area, and the length of time the system runs. However, if you go by the national average electricity rate of .10 per kWh, the approximate operating cost of an average bathroom measuring 8’ x 10’ would be between $0.16 and $0.21 a day. This cost is based on your system running eight hours a day. To get a better estimate, check out WarmlyYours’ Operating Cost Calculator. After answering just three simple questions, you’ll be able to calculate the cost for your space. You can also find out how much the actual heating element will cost you by using WarmlyYours’ Instant Quote tool. This will help you decide what format best suits your room (rolls, mats or cable), how much you’ll need, and how much it will cost. How hot do heated floors get? 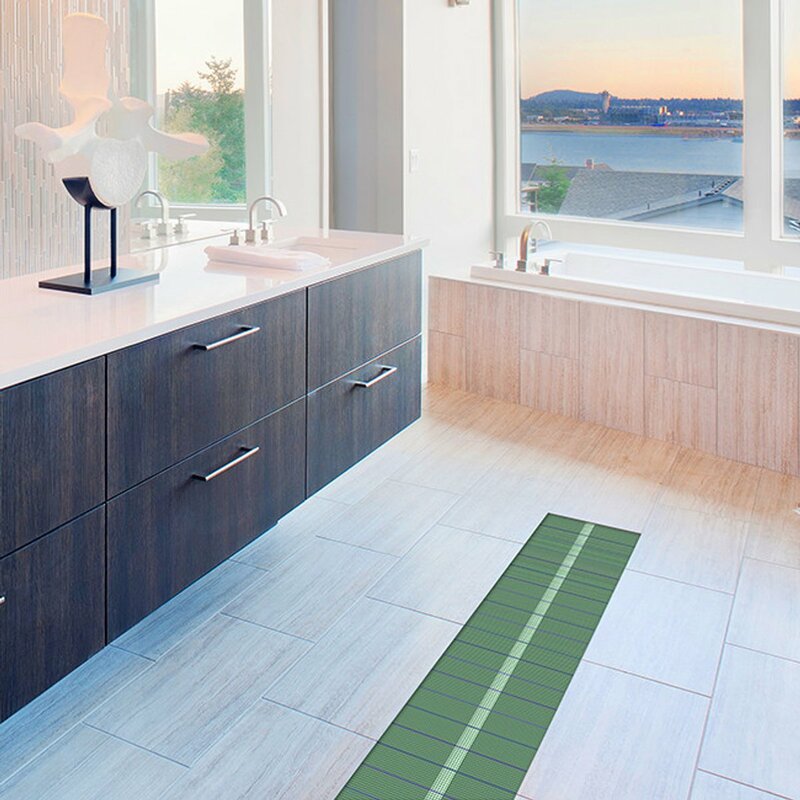 Electric heated floors will reach between 75 and 95 degrees Fahrenheit, depending on the room’s configuration and amount of heat loss that it experiences. For example, a living room with lots of natural light will retain less heat because the windows act as heat sinks, whereas a small bathroom located above another heated room will be much easier to heat. To see how your room ranks in terms of heat loss, you can use WarmlyYours’ Heat Loss Calculator. This tool will let you know if in-floor heating should be used for primary or ancillary heat, and it will also tell you how much the system will cost in the best and worst conditions. 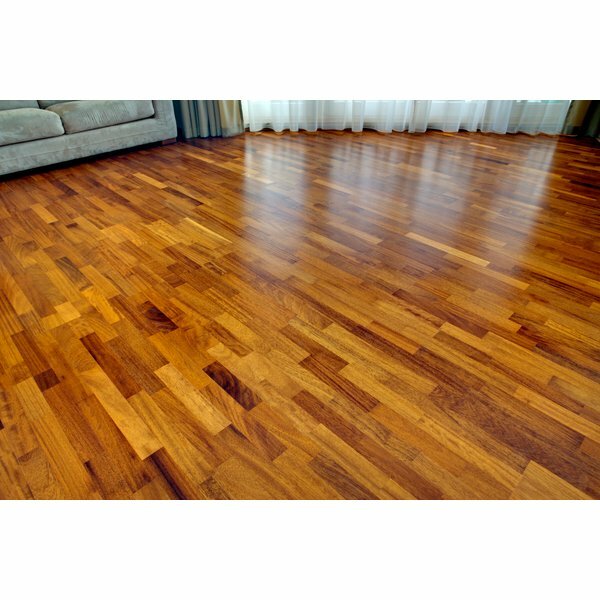 Under what flooring types does electric floor heating work? Radiant floor heating is suitable under most flooring, including tile, stone, hardwood, laminate and more. It can even be used under carpet in the United States, and it can be embedded in a freshly poured concrete slab. Different brands work with different flooring types, so be sure to reference WarmlyYours’ website to determine if you need a TempZone™, Environ™ or Slab Heating system. Can radiant floor heating be used as a primary heat source? Electric radiant heat is typically used as a secondary heat source; however, it can be used as a primary heat source in most cases. It just depends on the heat loss of the room. By using WarmlyYours’ Heat Loss Calculator, you can find out if floor heating is suitable as a primary heat source for your room. How do I go about installing an electric floor-heating system? If you feel comfortable, you can install your floor-heating system yourself with help from WarmlyYours’ 24/7 technical support team. Experts are available any time at 800-875-5285 to help you with any questions that arise as you’re installing your heating system. However, if you’d rather have a professional install the system, you can contact your local floor-covering contractor and a licensed electrician to complete your project. If you have any other questions — including more technical ones — WarmlyYours Radiant Heating is happy to help! You can chat live with our experts on www.warmlyyours.com, or you can call them at 800-875-5285.